Franklin, TN – Yesterday at 1:30pm officers were notified of a man exposing himself to a female shopper in the parking lot of Kroger, 2020 Mallory Lane. A witness was able to relay a suspect description, along with the license plate of his vehicle to dispatchers. Responding officers spotted the vehicle as it was leaving the parking lot and arrested the driver, 19-year-old Christopher Garrison. 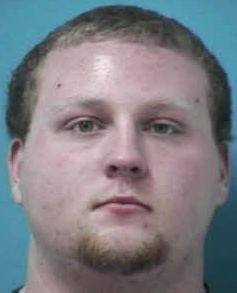 Garrison, who is free on a $500 bond, was charged with Indecent Exposure. He is due in court on 04/24/2014 at 1:00pm.